Be among the FIRST to introduce the POWER HOUR to your city when you own your very own TITLE Boxing Club® fitness franchise. These membership fitness clubs offer women and men the chance to burn up to 1,000 calories in explosive total body boxing and kickboxing POWER HOUR workouts led by professional trainers. 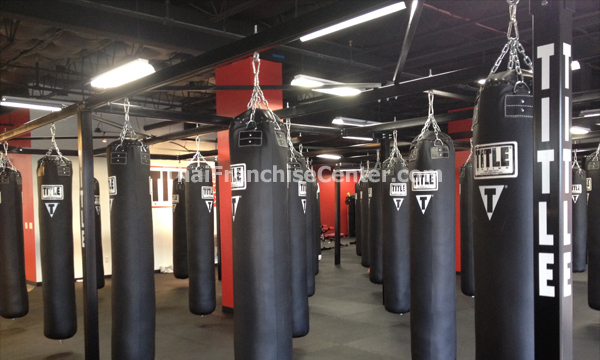 TITLE Boxing Club opened the first boxing and kickboxing fitness club of its kind in Kansas City on January 2, 2008. Located in the Rosana Square Shopping Center in Overland Park, Kansas. The first gym began offering the POWER HOUR group fitness classes. These explosive, total body workouts can burn up to 1,000 calories. And with proven results, this new niche market proved to be a smash with fitness-minded consumers. In fact, the first Club outgrew the space in a few short months. By May 2008 the first Club was at capacity and expansions plans were underway. Meanwhile, based on this explosive growth, the executives for TITLE Boxing Club opened a second gym in the Pine Tree Plaza, Lee’s Summit Missouri, on June 2, 2008. By September, the original Club nearly doubled in size with the relocation to the southwest corner of Rosana Square Shopping Center. A third location followed five months later, opening its doors on January 2, 2009 in the Trail Winds Shopping Center situated at 151st & Antioch in Overland Park, Kansas. The first franchise opened its doors April 16, 2010 in Prairie Village, Kansas. The fifth club and second franchise soon followed, opening May, 7, 2010 in St. Louis, Missouri. Now there are over 120 locations nationwide. TITLE Boxing Club was founded by local businessman, Tom Lyons, retired professional boxer and promoter Danny Campbell, as well as David Hanson and Tony Carbajo owners/operators of Title Boxing, LLC, the world’s largest distributor of boxing, kickboxing and MMA equipment, apparel and accessories. Total investment range:$144,300 - $235,500.